The major transformation of leisure facilities at the Nova, Prestatyn have completed, with the facilities opened to the public on Monday, November 23rd 2015. The £4.4 million refurbishment includes improvements to the look of the building as well as the creation of a new entrance and reception area, a 60-station fitness suite, a new café and restaurant, two new promenade-side retail units, a three storey soft play structure and multi-purpose studios that can host various events and functions. 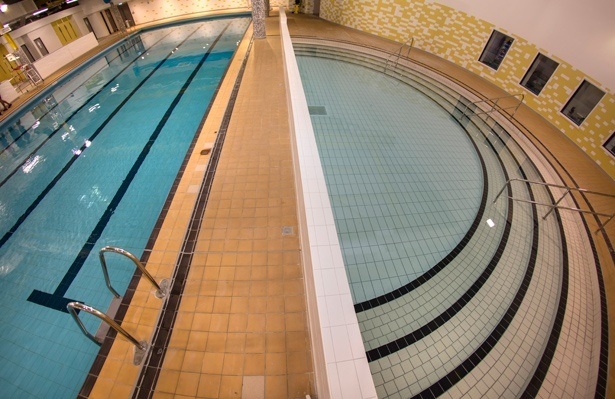 The original 25-metre, 5-lane swimming pool and a toddler splash pool will be retained and swimming pool specialist, F T Leisure has been appointed to carry out a full plant replacement including the water treatment and filtration systems. The client for the project is Denbighshire Council and its leisure partner, Alliance Leisure Services, and the main contractor is ISG. The project will deliver improvements to the building’s energy and thermal performance, reducing running costs and the facility’s carbon footprint.